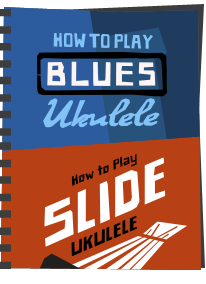 Lately on various ukulele groups on forums and social media I seem to be coming across lots of discussions on the subject of ukulele strings - 'which ones should I use, which are the BEST?' It then struck me that whilst I have blogged before on strings (see Beginners Tips section) that was quite some time ago, and was worth re-visiting. Got that? Like I say, it's important. I'm going to ask you to go back to it regularly in this post.... Why do I say that? Well because strings are, in the vast majority of cases a personal thing. What sounds good to one player may not sound as good to another. And sadly, in this world of social media, there are many people out there who will try to tell you that your string choice is 'wrong', can be bettered or that you are just plain nuts. All absolute rubbish. That said..... (here he goes...) I suppose it is fair to say that there are some general 'trends' on strings (keep reading that bold text above, keep reading it!!) that do apply. If a thousand ukulele players say they like one brand on certain ukes, that may mean there is something in it. Perhaps. Maybe. Oh you get the picture. The thing is though, the choice of the right ukulele string for you depends on many factors. Firstly the ukulele itself. Ukuleles differ wildly in their construction, and to complicate matters further, even two ukuleles which are the exact same model may differ in their tone. 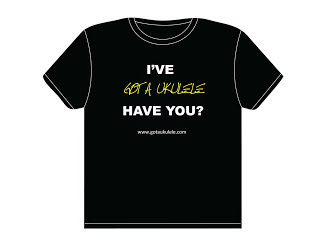 The other factor that comes in to play is how you play the uke - what is your style? String choice changes depending on how you strum and pick - how you 'attack' the strings. Again - something that creates a variable that blows apart the argument from those who claim that String brand X is the BEST. Finally, and in my opinion, most importantly, YOU - yes YOU. The best gauge of what is the best string is YOU, and by that I mean how do the strings feel to you when you play and, more importantly, how do they sound to you. Do your strings feel good, easy to play, and give you a buzzing feeling when you play? (bad choice of words, buzzing, I don't mean actual buzzing, that is bad - I mean do they make you feel good!!?) Then perhaps you have the right strings for your uke, your style and your ears and fingers! So, my most important piece of advice - trust yourself, not others. 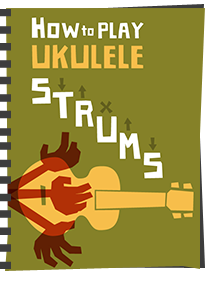 Grab your uke and try a few different sets of strings. Load them up and leave them on the uke for a week or two, playing them regularly. LISTEN to the strings and feel them. Like them? Good! Make a note of that, then whip them off and try something else. Don't like them as much? then try something else, and narrow it down until you find something YOU really enjoy - it may well be the first set you tried, it may be the last. Now, an important point here. I know that the concept of buying endless packs of strings may come across as blasé - and I know that $10 on strings may be a big deal for many of you to spend. I appreciate that, but strings really are the life blood of making a ukulele work. Consider the uke player who has a fairly basic uke, has played it for 3 months and struggled with tuning and just getting any 'feel' out of the instrument. 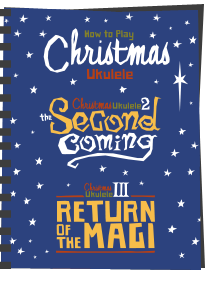 The player changes the strings for a new brand, and the uke comes alive, makes the player feel like they have a new instrument.... Does that sound far fetched? In my experience that is actually quite common with beginner instruments, which, sadly, tend (for reasons of cost) to come strung with junk. 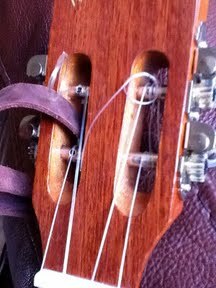 So, a quick $10 outlay and string change can turn a uke that somebody gets little pleasure and a lot of frustration from, into an instrument that gives huge pleasure and little frustration. Is that worth the $10? - I think so! The other great thing about buying, say, three packs of strings to test is that, if they are only on for a week, they can be taken off, coiled and used again with no problems. 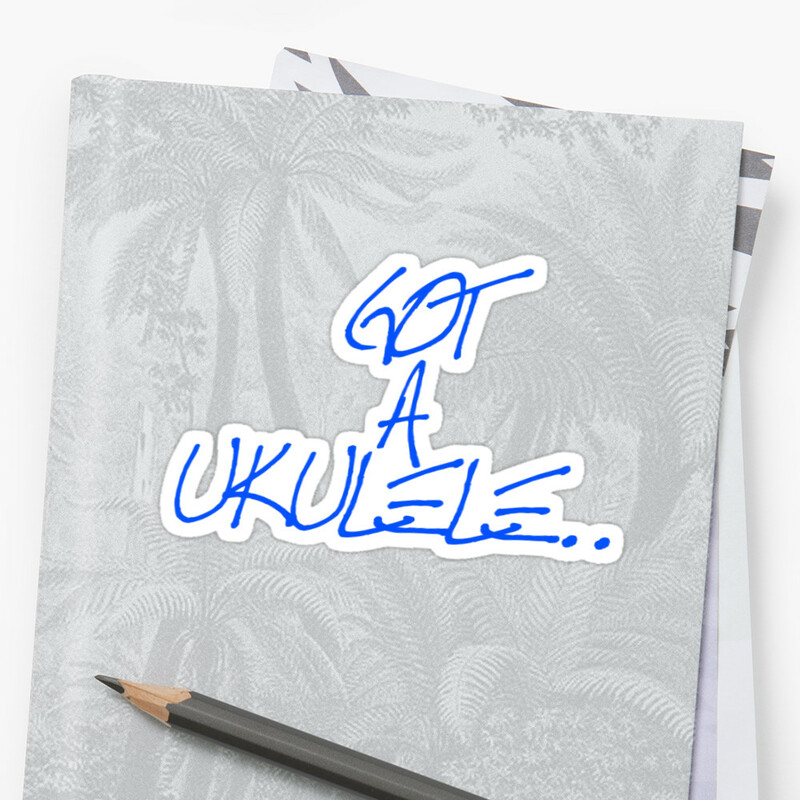 If the uke bug bites you, you can test them on ANOTHER ukulele - and, despite you not liking them on your first uke, you may find they work wonderfully on another one. Trust me - I have had that happen to me several times! 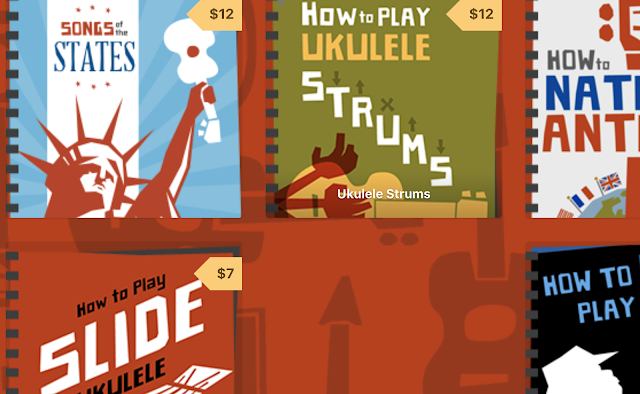 But back to cost - I appreciate that if you have bought a $60 ukulele, you really don't want to spend $60 on another handful of different ukulele strings just to have a play around. So I am here to give a little 'steering' to your choices. Before you read on, go back to that bold statement above. And again. And again. Thank you. So, the thoughts below are just my experiences, and because I've annoyed you so much making you read that bold sentence again and again you know what's coming - just one guys opinion. That is to say, one guys opinion who has played many many ukes with many many strings. It's also advice based on discussions with many many players. That isn't to say these are the choices for you, but they should allow you to narrow down your string testing. If my guidance doesn't 'do it' for you, then widen the choice. In the entry level ukulele world, we are looking at (in the vast majority) a range of ukes made from laminated woods. There are good laminates, and there are ultra cheap laminates, but essentially they are all basically bonds of woods sandwiched together. A stringed instrument has to rely on the construction of the sound chamber to create tone, resonance and sustain. In the ukulele world, we hear talk of 'tone woods' - solid woods that create different tonal qualities to the sound. With laminated woods, the jury is well and truly out as to whether woods can have an effect. One thing that does seem to be agreed is that laminated top ukuleles, such as the Makala Dolphin (which I recommend regularly) will naturally need a bit more 'oomph' to get the top vibrating and resonating. Generally speaking the consensus seems to be that Aquila Strings seem to have the right qualities to drive the tops of these instruments and get both extra tone but also extra volume and sustain out of them. Of course, with cheap ukuleles, they tend to come with even cheaper strings, in many cases, just cheap plastic nylon. A string change can totally turn around such instruments and I would urge you to try a change. Again, read that bold sentence - as I know some people who swear by other brands on cheaper ukes!! Despite what many tell you though, it is NOT necessarily Aquila or nothing - I would just advise that you start there, and if happy stay there! Moving into solid wood ukes and general favourites seem to change. You have a choice of nylons, fluorocarbons, and again, for many the Aquila brand of their patented Nylgut. This uke player certainly favours the stability of Flourocarbon strings over nylon, and I would recommend you try strings from the likes of Worth, Martin, D'addario and Fremont. I've tried all of these, along with several others on many different ukes and like all of them for different instruments. I find that the choice varies depending on the instrument, but when I find the right one for me, the uke just seems to chime more - it rings, and the clarity of the individual strings is enhanced - that for me is when I feel I have found a string I can live with. But here is the thing. I could loan you each of my ukes with a set of strings to test and you could come up with different choices. And there is the thing - read that bold sentence again!! I know a player who has a top end Kamaka Koa ukulele and he swears that for him that the stock Aquila string is the best sounding and feeling for him. To make matters worse, I may change my views also - I may decide to have a change and fall in love with another type of string - so there again we see that it's about experimenting. So - the article ends quite simply referring back to the opening bold statement (yes, that one) - there is no right perfect string - there is only your choice. Experiment, listen, feel and trust your instincts. And if anyone tells you your strings are bad on a uke that sounds good and feels good to you - well - you know - read them the bold sentence! Oh and in the interests of fairness - there are plenty of other strings out there such as Ko'olau, La Bella etc - all good - try em out! ps - to give some food for thought - I list below my current crop of ukes, the strings they came with, and the strings I am currently settled on. How do yours compare? Original strings - Hilo Nylon?? Original strings - Hilo nylon? Current strings - the same! I have a classroom set of ukes, and they have really cheap strings on them. I have had to change a few, and they hold better and sound better than the cheapy ones they came with. My question is two fold: 1) any suggestions for getting better strings cheaply? I have no budget, and I would be buying them a few sets at a time to replace. And 2) I know there are different gauges of strings for each, but can I put an A string in place of a G? This is also a money-saving question, because I have had to replace a few G strings, but have the other 3 from each set left. Just wondering.